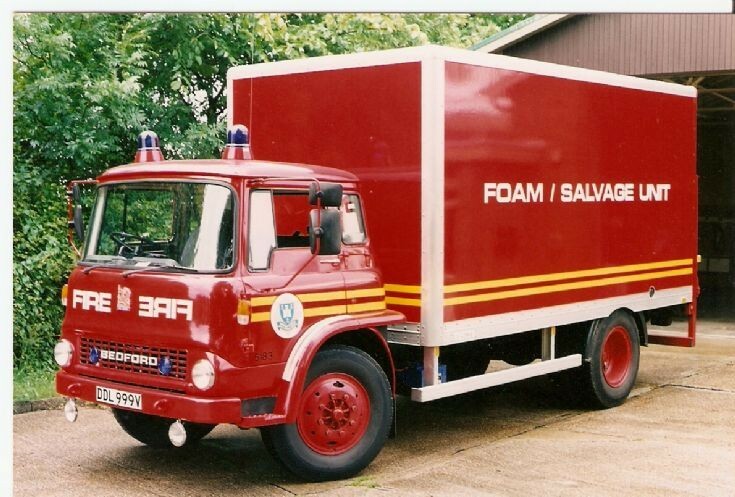 Bedford Tk DDL 999V Foam/Salvage Unit as far as i know this Appliance is still on the run today 2009. Correct, still on the run @ A3 - East Cowes I believe. Added by John Curtis on 19 July 2009. Yes the call sign is Alpha 3/ Foxtrot. The new DAF appliance which is currently sat in the yard at Newport was due to replace the FST but it hasn't happened yet and the Bedford is still on the run today, will let you know when it retires. Added by Keith Morgan on 26 January 2010. Added by Graham on 26 January 2010.